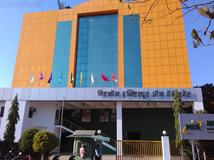 Find below the list of top schools in Wanwadi - Pune with phone number, address, 360° School tours, 2018-19 Admission forms & Fees, photos, facilities & more. 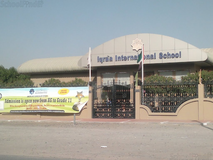 IQRA International School is located in Wanwadi, Pune. follows the State board. The school has English medium. Sungrace High School is located in Wanwadi, Pune. It was established in 1989. This school follows the State board. The school has English medium. Kroot Memorial High School is located in Wanwadi, Pune. It was established in 2007. This school follows the State board. The school has English medium. Kroot Memorial Primary School is located in Wanwadi, Pune. It was established in 2000. This school follows the State board. The school has English medium. 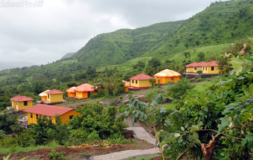 Sungrace Primary School is located in Wanwadi, Pune. It was established in 1989. This school follows the State board. The school has English medium. Mount Carmel Primary School is located in Wanwadi, Pune. It was established in 1977. This school follows the State board. The school has English medium. Established in 1985 in Army barracks, K.V Army Area was shifted to our present location in 1993.This school of repute is located amidst the pristine beauty of nature on a hill behind MH-CTC, away from the hustle and bustle of the city, in a spacious 15 acre land.Ever since its inception, the school has grown from strength to strength. Now our family houses 1680 students and 65 members of staff. 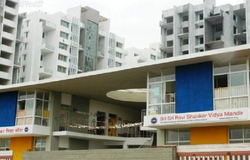 S M Joshi Hindi Secondary School is located in Wanwadi, Pune. It was established in 1955. This school follows the State board. The school has Hindi medium. Although there are many top schools in Wanwadi - Pune it is not necessary that each one is suited to your child's needs. That is why you need to analyze and consider every factor about the best schools in Wanwadi - Pune before settling for one. Sqoolz's list of best schools in Wanwadi - Pune makes this job easier for you. Find every detail that is necessary before choosing the right school. You can also take our virtual tour, a feature solely designed to give parents a sense of assurance.